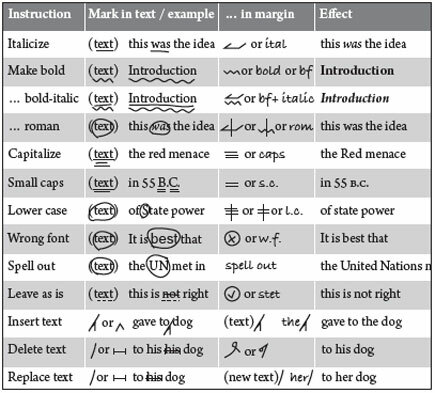 The following list of editing and proof-reading symbols is not exhaustive, nor does it cover every eventuality. 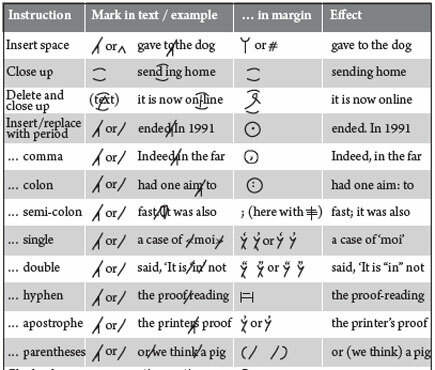 However, listed here are the most common marks (both international and local variants) that you will encounter during the editing and proofing of your book. 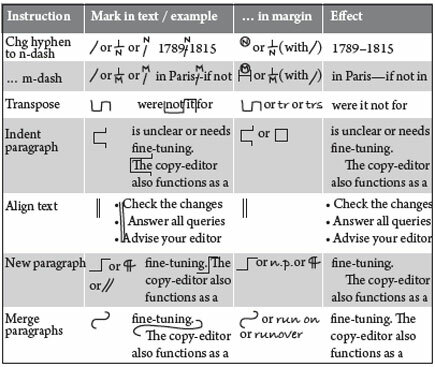 Whether or not you use this mark-up method is another matter; there are alternatives (as described here). This entry was posted on Thursday, March 4th, 2010 at 3:35 am and is filed under Publication process. You can follow any responses to this entry through the RSS 2.0 feed. You can leave a response, or trackback from your own site. Wow!! This is very helpful for me because Copy Reading is our next lesson tomorrow. Thank you very much! Hoping that someone will help me about this.. This has saved me a lot of time for my next discussion. Thank you very much. I’ve found some of the editing marks here: http://www.mlaeditor.net/all-the-truth-about-mla-editing-marks/ But your list includes even more of them. Thanks for sharing!